In 1912, the newly organized “Votes for Women Club” set up headquarters at the corner of Washington and Court Street in Binghamton. Margaret C. Topliff was installed as President of the organization, with Ida Wales Gitchell as Vice President. With an election coming up in 1915, the suffrage movement in Broome County was making great strides. Pro and Con debates on the subject were carried in the Binghamton Press. Comments from women readers ranged from “Women can best serve husbands by caring for home and children, and let men provide and govern as God intended,” to “I have no desire to become man’s equal, quite satisfied to remain his superior,” and while opinions varied, clearly, the majority were in support of women’s suffrage – at least locally. It came as no surprise then, when the November election results showed suffrage was favored by a large majority in Broome County. Unfortunately, statewide, the movement was defeated. Undaunted, local leaders came out of the election even more energized and immediately ramped up the campaign for the next election. The “Broome County Woman Suffrage Party” was formed, with headquarters at 112 Court Street. Binghamton resident, Lillian Huffcut, was installed as chairman of the sixth campaign district, and within that district, Broome County was split into two divisions, one led by Margaret Topliff, the other by Catherine Bartoo. Meetings were held often, including open air gatherings at Court House Square and throughout the region. Some were held in Yiddish, others in Italian. Parades, dances and lawn festivals took place. “Suffrage School” was conducted over several evenings at Binghamton Public Library, and a “women’s exchange” was set up at the Court Street headquarters to raise money for the cause, offering home-made goods for sale. The events were met with some resistance. Speakers were often heckled and jeered, stones were thrown at one event, and during a big parade, a trolley car motorman tried to break up the procession by driving his car head-on into the marchers. Undaunted, the leader of the procession continued marching straight into the path of the oncoming street car. That leader was Margaret Topliff – she persisted, and the driver backed down. Finally, in November, 1917, VICTORY! Headlines read: “Local Suffragists Frolic as New York State Gives Them Vote.” The fight for women’s suffrage in New York State was won – and on January 5, 1918, a small village in Broome County would be the first to put that hard-earned right to the test. As reported by the Syracuse Standard, “Strange as it may seem, woman’s first opportunity to vote with men upon a political issue in this state was provided in the township of Lisle.” It was a big day in that small community when a special election was held on whether or not the township would remain “dry.” Cars, trucks and even a horse-drawn sleigh and hay wagon arrived at polling places, filled with women voters. Florence B. Chauncey came to the Lisle village hall before the polls opened that morning and took her place first in line. Shortly after 6 o’clock, Chauncey attempted to place her vote. Immediately, an official declared: “I challenge that vote and every other vote cast by any woman in this hall.” Chauncey was undeterred… she had been warned, nevertheless, she persisted – and with that became the first woman to vote in a political election in New York State. 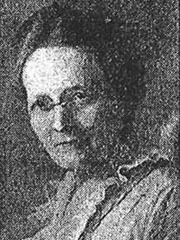 In later years, Ida Gitchell became a leading member of the Republican Party. 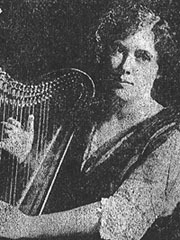 Lillian Huffcut would fill executive positions in the New York State Women’s Suffrage Party, and later served as a Director of the League of Women Voters. 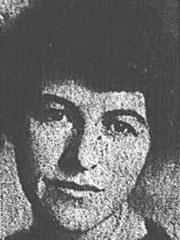 Catherine Bartoo, an accomplished artist and musician, became the first woman elected to the Broome County Republican Committee, and served as Chairman. Sometime later, she founded the Binghamton Society of Fine Arts. 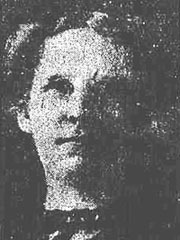 Florence Chauncey later moved to Robinson Street, Binghamton, where she was active with Fairview Methodist Church. On October 7, 2017, in celebration of the 100th Anniversary of Women’s Suffrage in New York State, a re-enactment of the 1913 parade and convention took place in Downtown Binghamton.